I am proud to be an Advocate for the Advancing Women Artists Foundation Florence. 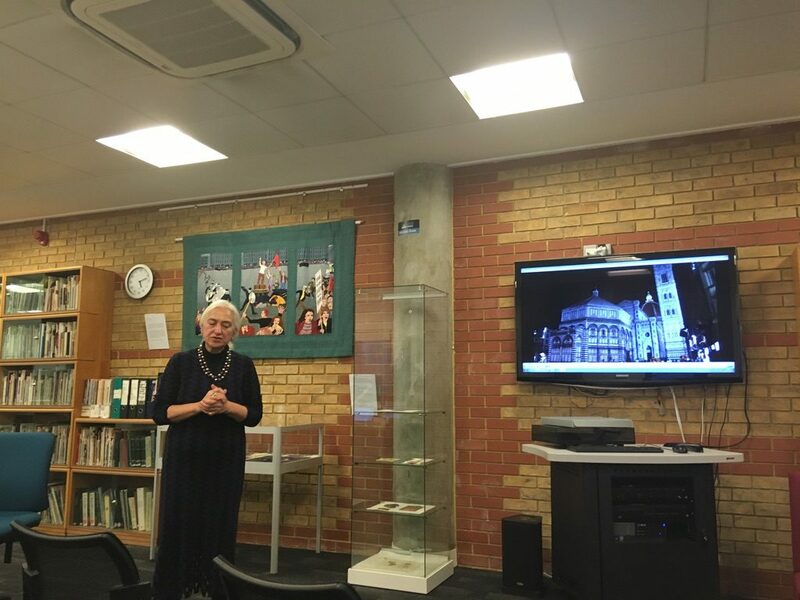 As one of many events taking place internationally to mark International Women’s Day 2019, we were able to introduce our work to a new audience in London with my talk and two film presentations showing AWA’s work. 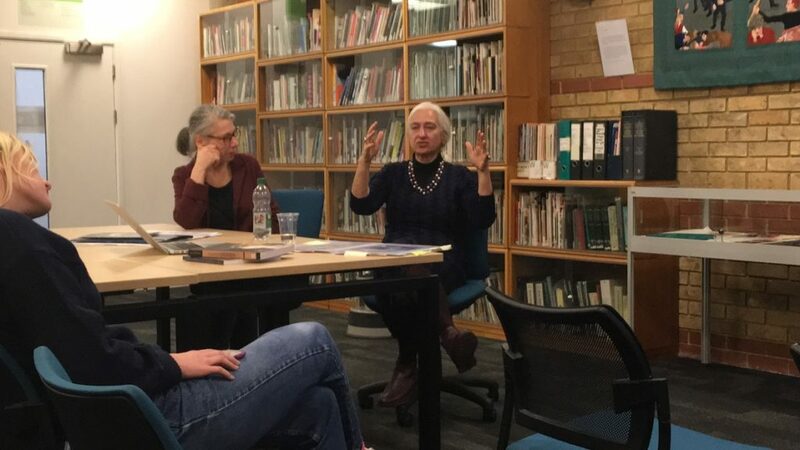 Here I am in the Women’s Art Library, Special Collections, Goldsmiths College, University of London, together with curator Althea Greenan who hosted the event (photos by Josephine Porciatti). 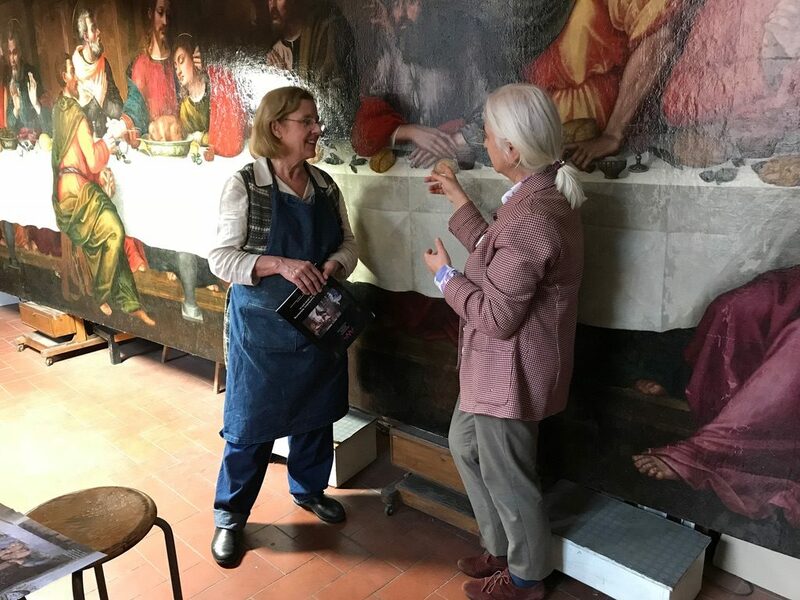 You can also see me with Florentine restorer Rosella Lari examining the restoration of Renaissance nun, Suor Plautilla Nelli’s “Last Supper” – AWA’s current major project – in Rosella’s studio (photo by Jane Adams for AWA).